Fall photography is, to paraphrase Yogi Berra, 90% timing and the other half is luck. 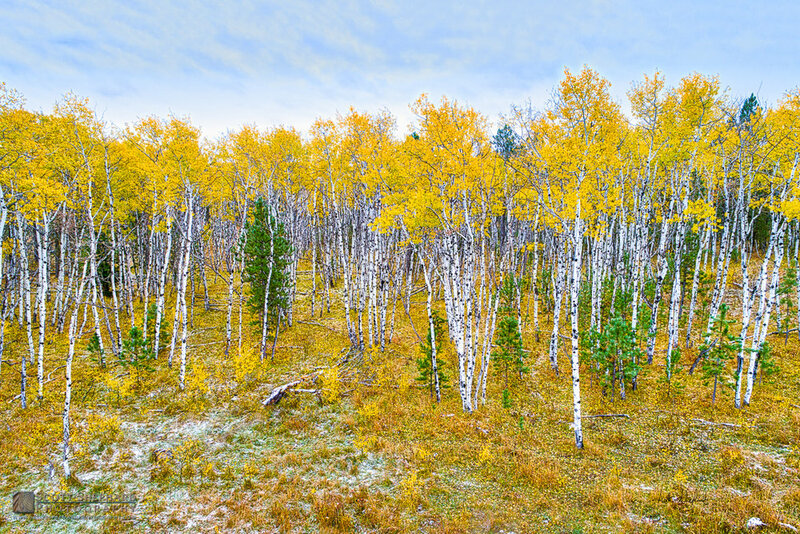 Such is the case with this this photo of a grove of aspen trees near Deerfield Lake in western South Dakota. It just happened that it snowed for the first time the night before Deb and I drove through this area. Frankly, I don't like snow all that much but it added a touch of character to this scene. This photo is my 2018 contribution to the Lake Area Technical Institute "Festival of Trees" fundraiser. I thought that the trees fit the theme perfectly, in part because LATI was recently named the best 2 year college in the United State by the Aspen Institute. An 18" x 24" limited edition standout print of this photo will be available during a silent auction that precedes the "Festival of Trees" dinner. It could be yours!